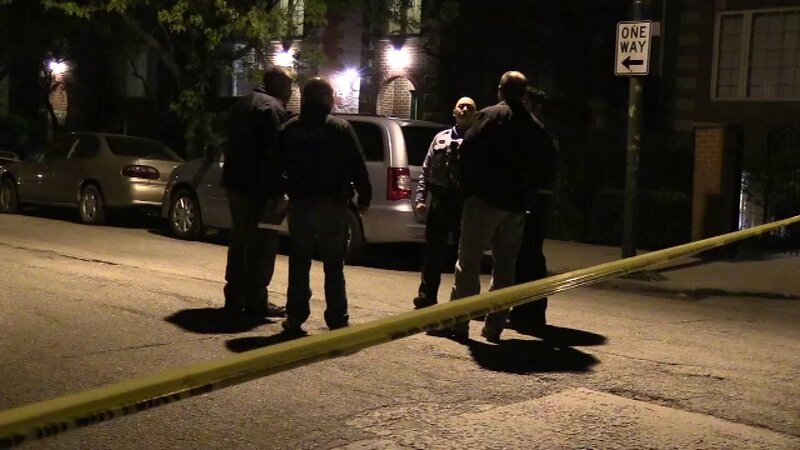 CHICAGO (WLS) -- Three men were shot, one fatally, in Chicago's Noble Square neighborhood overnight. Officers found a 26-year-old man lying in the street with gunshot wounds to his chest near North Ashland Avenue and West Walton Street. He was pronounced dead at the scene. His identity has not been released. Police said the 26-year-old man was standing in that area with two other man, ages 19 and 20, around 11 p.m. Monday when someone approached them and opened fire. The 19-year-old was shot in the head. The 20-year-old was shot in the arm. They drove themselves to Stroger Hospital, where the younger man is listed in serious condition and the older man's condition stabilized. The shooting is under investigation. Police did not give a description of the suspect. No one is in custody.